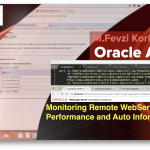 You are here: Home » Blog » JMS » How to secure WebLogic JMS Resources? 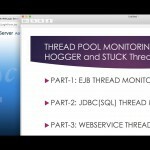 How to secure WebLogic JMS Resources? When you create a JMS Resource on WebLogic, it is not secure by default. If anyone knows your jms url, he or she can delete all your messages. 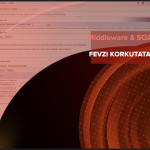 You can say, we have firewall in front of it, but you should even secure your assets internally in your organization. 4. 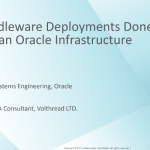 Create Distributed Queues then target it to the Subdeployment. 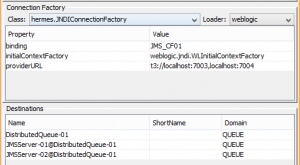 I have created “DistributedQueue-01″ on my local WebLogic domain. 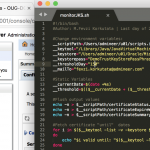 Then connected to my JMS-Resources by using HermesJMS tool. I have created an Hermes JMS session with above settings. When you finished session creation on Hermes, right click on you session, then select “Discover” option on dropdown menu. 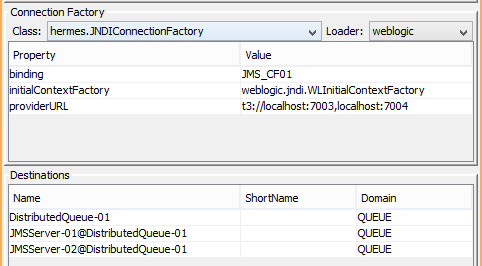 After that, Hermes will connect to your JMS Resource successfully, then would list its queues and topics. See the below screen capture. Without security credentials, you can connect and list every JMS resources. The best practice and operational excellence model is, secure your JMS Resource by defining a WebLogic group. Because, when another system wants to integrate its system, just create another user for the new system and assign it to JMS group. Then, automatically the new system must connect with security credentials. 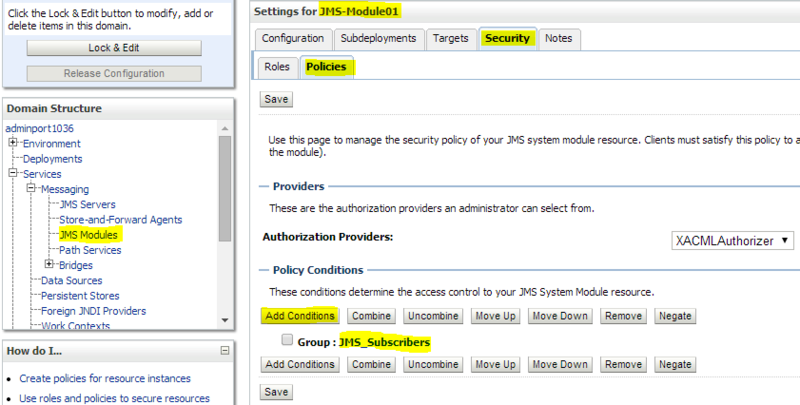 These three steps are basic administration issues, now I’ll give details for JMS Module. Then choose “Group” predicate, from predicate list combo box. Click on “Next”. On “Group Argument Name” type your WebLogic group name, which is “JMS_Subscriber”, click on “Add” button. Now, you should see your “JMS_Subscriber” group condition on the list. See screen capture below. Finally, click on “SAVE” button. Without save click, it will not be activated. That’s it, anymore your JMS-Module is secure. No one, can list your JMS resources without authentication. When I rediscover my JMS connection on Hermes, it gave error. Because, I haven’t provide security credentials. Here is, the full error log. Caused by: javax.naming.NoPermissionException: User <anonymous> does not have permission on weblogic to perform list operation. 2014-04-16 02:33:18,489 [Hermes ThreadPool-0] ERROR hermes.ext.HermesAdminSupport - discoverDestinationConfig binding=weblogic: User <anonymous> does not have permission on weblogic to perform list operation. hermes.HermesException: User <anonymous> does not have permission on weblogic to perform list operation. Anymore, we should add below properties for our JMS connections with proper user information. After that, I have successfully listed my queue destinations. Successfully connected and discovered my JMS queues. If you have any questions about your JMS problems, drop me an email.